We are always happy to hear from you. 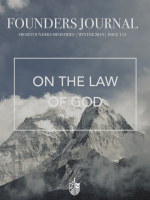 Whether you have a simple word of encouragement or you would like more information about the ministry of Founders, please complete the form below and we will respond to you. We look forward to hearing from you.